IELTS is the International English Language Testing System exam which is used worldwide to access the English language proficiency of candidates who want to work, study or immigrate to an English speaking country. Many candidates are not clear about how to prepare for IELTS exam. First-time test takers are always in a dilemma that how to prepare for IELTS at home? There are few tips about how to prepare for IELTS band 8 or above. First of all the candidate should know whether he has to take the IELTS Academic or the IELTS General training test and what is his score target. 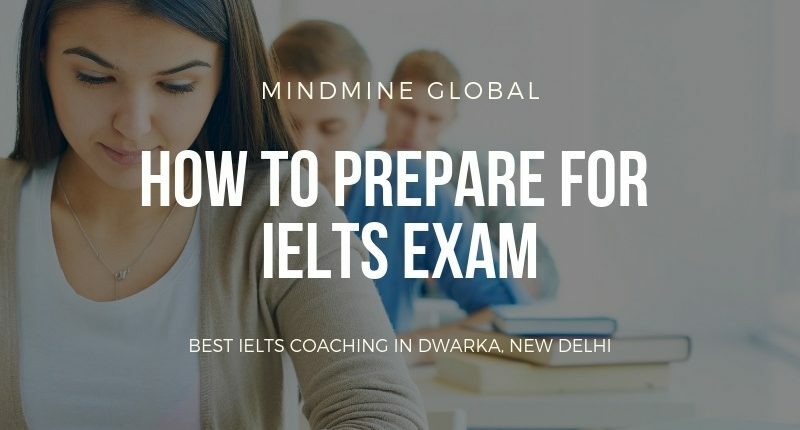 It is imperative for every candidate to know his IELTS bands score target without which the preparation will be like a rudderless ship and will go nowhere. IELTS scores are given in bands ranging from 0-9 bands with 9 being the highest band. Every country, college or university may have its own requirements for the IELTS Academic test takers and similarly, if a candidate is migrating to Canada from India or migrating to Australia from India, he has to fulfil the eligibility criteria as given by the immigration department of that country. It takes time and effort to improve the overall proficiency of a language. A concentrated effort is required to improve your English in order to crack the IELTS test. IELTS assesses the proficiency in listening, reading, writing and speaking skills. Start IELTS preparation at home by reading newspapers, articles or watch informative programs in English language or listen to podcasts, lectures in English. It is an international level test and has to be taken seriously. Test takers often ask that how much preparation is required for IELTS If you ask how to prepare for IELTS in 10 days then the answer is that it is really difficult if not impossible to prepare IELTS in 10 or 20 days. However, it also depends on a candidate’s IELTS bands score target as well. But a candidate needs to devote 2 to 3 hours daily for the IELTS exam preparation and achieve a higher bands score. There are no shortcuts to crack the IELTS exam, you need to practice with a purpose. IELTS is not just another test of English. You need to understand the test format and pattern of questions in all the sections and start the preparation of IELTS IELTS listening test has 4 sections and there are a total of 40 questions of 1 mark each. IELTS reading test has 3 sections with a total of 40 questions on 1 mark each. IELTS writing section has two tasks; IELTS Academic Task 1 is a description of a graph, chart, table, process or a map whereas IELTS General Training Task 1 requires you to write a letter which can be formal or informal. IELTS Writing Task 2 is an essay which often requires an in-depth discussion of the given topic. Many candidates ask that how to prepare for IELTS exam at home or how to prepare for IELTS online for free? The answer is it is highly recommended to take IELTS coaching with a certified IELTS trainer. You may not know whether a person who has uploaded his videos is a certified IELTS teacher or not. You should look for a good and reputed institute for IELTS tutorials which has the experience and has proven results of good IELTS band scores. Many times students take help of English teachers to prepare for the IELTS exam but it may have a very limited positive effect on the IELTS exam preparation as these trainers might not know the tips and techniques of IELTS exam. Test takers have many options to book the IELTS test. Every month there are 4 slots or dates for the IELTS Academic test and 2 slots or dates for the IELTS General Training test. The candidate has to plan ahead and book a date which is appropriate as per his preparation level. It is a good idea to book the IELTS test at least 15-20 days prior to the test date as the seats are limited and keep filling up really fast. IELTS Academic test takers should keep in mind the last dates of a particular intake of a country as the result of the paper-based IELTS test is declared on the 13th day after the test whereas the IELTS General Training test takers should keep in mind their schedule or work commitments while booking the IELTS exam. Candidates who need to travel frequently should be really careful in planning for the test date.